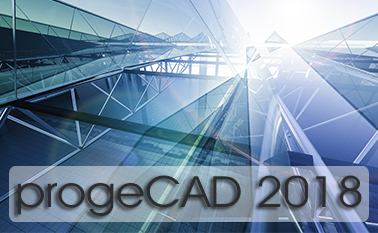 progeCAD 2014 Professional, an AutoCAD® compatible 2D/3D DWG/DXF-native CAD application, incorporates the parametric architectural plug-in, EasyArch. EasyArch serves to enhance the design of architectural elements both in 2D and 3D modes and to increase your productivity in house and interior design. EasyArch 3D is the fastest and easiest way to create walls, windows, stairs and other 2D/3D parametric objects optimizing the user’s time of completion of architectural projects.To learn how simple it is to work with EasyArch 3D, click here and watch the first video tutorial. Even users with little experience will be able to design in 3D with the help of such an intuitive tool like EasyArch. The architectural module allows you to work simultaneously in 2D and 3D, as when inserting parametric objects in the 2D view you obtain a 3D model automatically. Ultimately you get a comprehensive idea of a building, from its exterior model to floorplanning. To add an element to the 3D model of a building, you simply need to indicate the values of its parts sizes; the element modification is just as easy. To learn how to modify the previously inserted parametric objects, click here and watch the second video tutorial. Alongside EasyArch 3D, progeCAD 2014 Professional includes a series of other features which are just the same efficient and highly productive: 3D PDF Export, Hatch trim, PDF to DWG Converter, image management, 3D modeling (ACIS), advanced rendering, tables creation and editing, dynamic blocks editing. progeCAD with its EasyArch module and other features is available for download as a 30-day trial here.